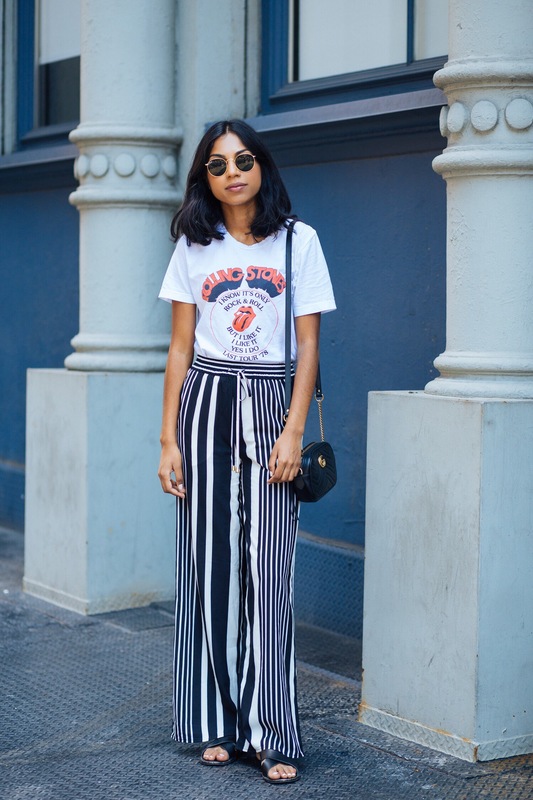 Stripe pants can be a bold statement. I came across these last summer at H&M and wore them frequently with a simple black top because I didn’t want to compete with the pattern. 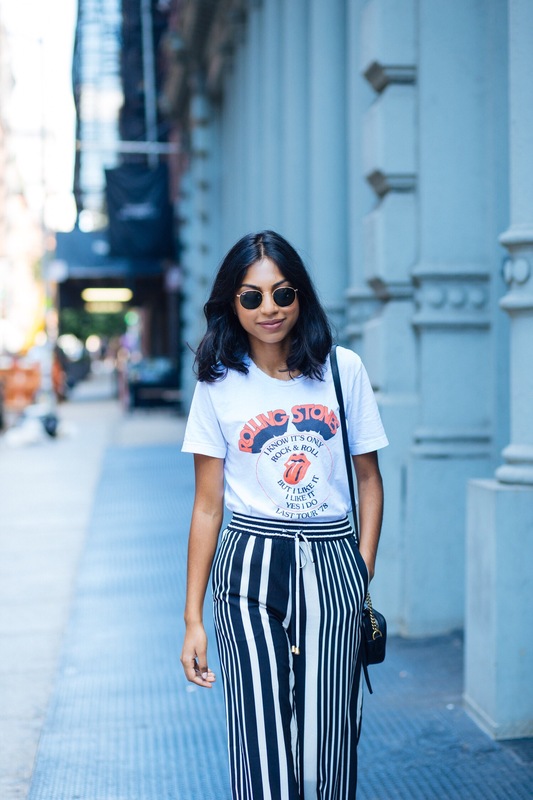 However, I got inspired to pair them with something a little more daring — a rock tee to mix things up a bit. 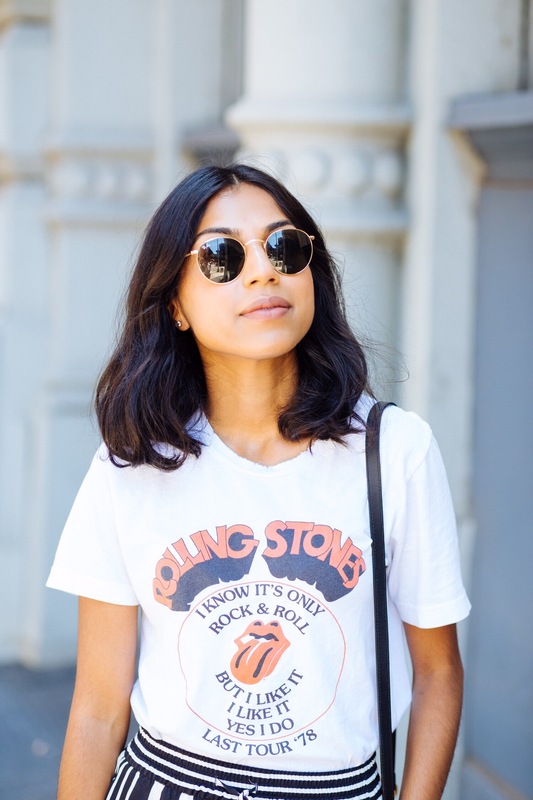 Rock tees have become a wardrobe staple for some time now. 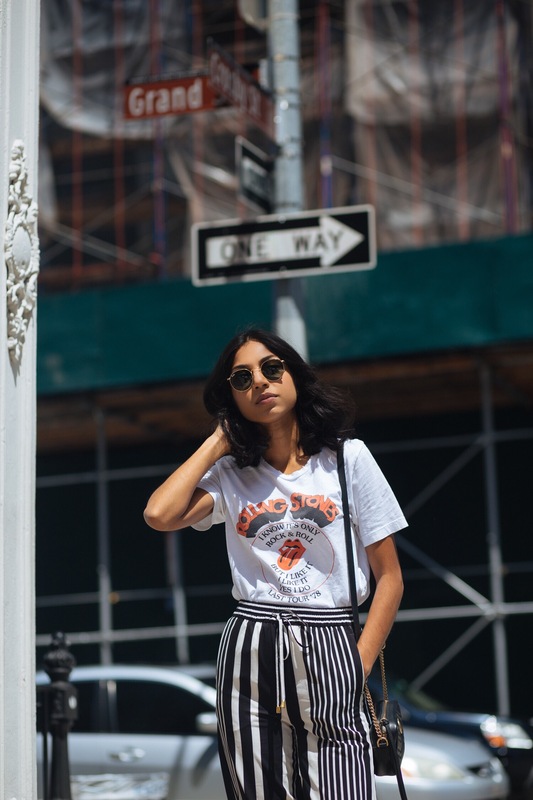 I had an obsession of trying to find the perfect vintage tee but it was a constant struggle. 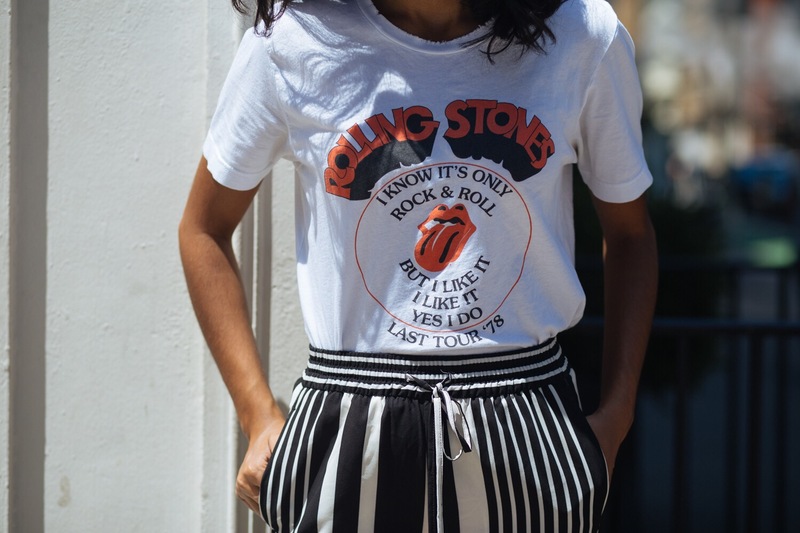 Luckily, a lot of mass brands have done some cool collaborations to bring that vintage feel in a more attainable way, like this awesome Rolling Stones tee by American Eagle. 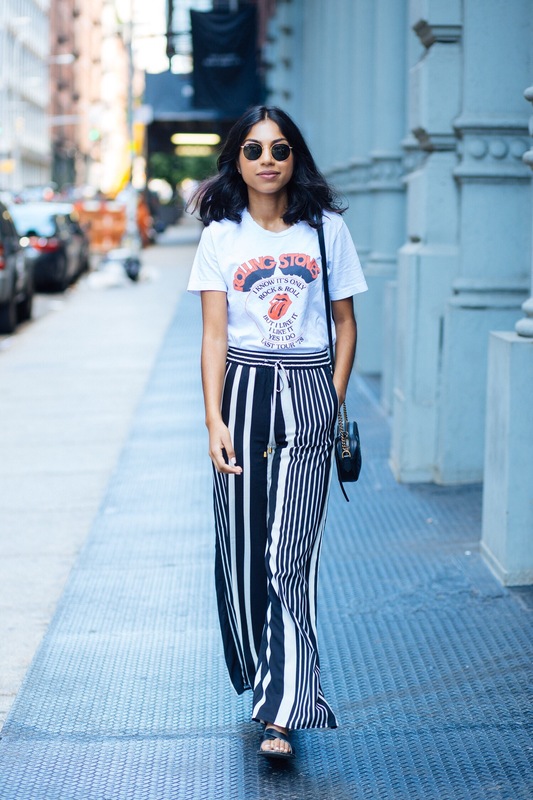 I love how this pairs with the stripe pant for an updated look. As we get into the cooler days now that it’s October (! ), you can take this into night by adding your go-to leather jacket.